Learn how to setup Vlookup to work with multiple criteria, by combining input criteria, creating helper columns or even searching with dynamic arrays. I am going to assume that I am probably pushing it, but is it possible to do a vlookup with multiple criteria that also incorporates wildcards? Basically, I have a list of school names, but the problem is that they are not always unique (i.e. St Mary Primary School). To differentiate I have recorded their location. I was hoping (dreaming?) of making a vLookup that would allow me to write a part of the school name (i.e. Mary) and a part of the location (i.e. Melb). Just thought I would ask. Ben, is it far to say that ‘Order by’ only ever relates to numerical values? Is there any way of ordering text using a QUERY formula? Does it require the addition of a GROUP BY or a WHERE clause? Congratulations on your year Ben. Thought I would place my vote for the ‘education’ course. Although all of your courses provide insight and opportunities within education, I feel that there is real scope for an explicit education offering. Although there are some great offerings in regards to introductions (including your own), I think that a course which collated a range of educational scenarios would be a real benefit. I have long had an interest in Google Apps Scripts. However, I have really gotten past simply appropriating other people’s code, especially Martin Hawksey’s work. I look forward to this new offering. I always enjoy the way in which Collins’ breaks things down with his courses. November 13, 2018 Kind RSVPTags Apps Script, Ben Collins, SheetsLeave a response on 📅 Apps Script Blastoff! Come and learn how to use Pivot Tables in Google Sheets. This webinar will last for approximately 1 hour. All the example datasets will be made available to registered users. I have watched Ben Collins’ webinars in the past, they are always well thought out and a great introduction to his longer courses. He has also written an introductory post. October 10, 2018 Kind RSVPTags Ben Collins, Google Sheets, Pivot Tables1 Comment on 📅 Pivot Tables 101: Learn how to use Pivot Tables in under an hour! This article describes 18 best practices for working with data in Google Sheets, including examples and screenshots to illustrate each concept in action. 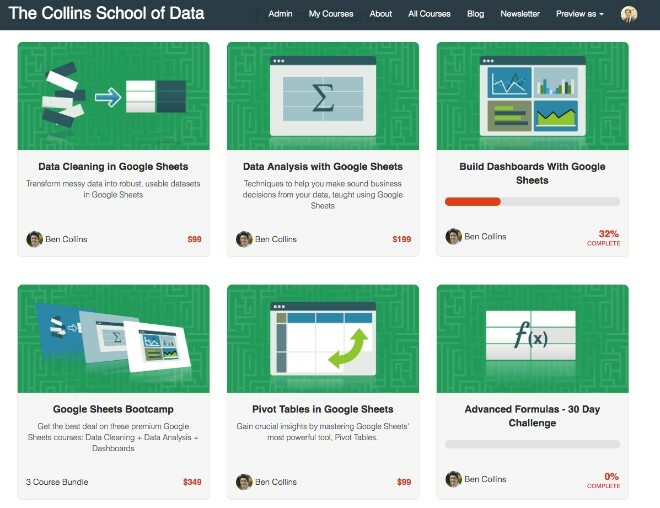 Ben Collins provides a guide for working with data in Google Sheets. Some of the useful steps that stood out were documenting the steps you take, adding an index column for sorting and referencing, creating named ranges for your datasets and telling the story of one row to check the data. Another tip I picked up from Jay Atwood has been to import data, if moving from Excel to Sheets, rather than simply copying and pasting.